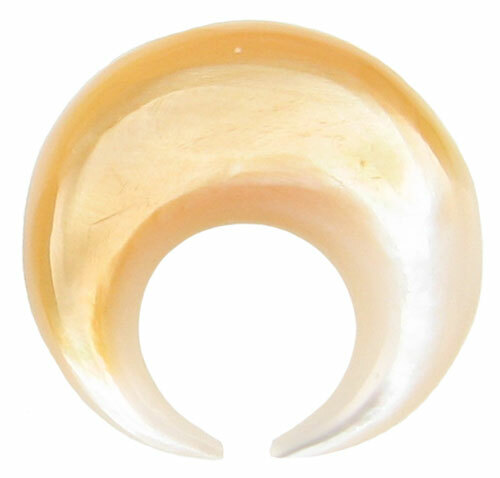 This Mother of Pearl Septum Pincher is a great piece of jewelry for your septum piercing. It is light weight, comfortable, unique and eye catching. 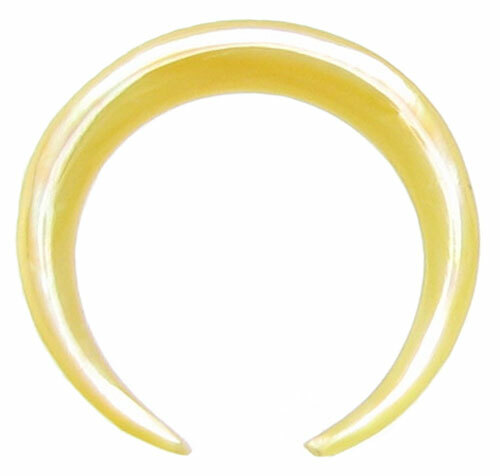 These tiny white to golden colored Septum Pinchers are hand carved in Bali, Indonesia. 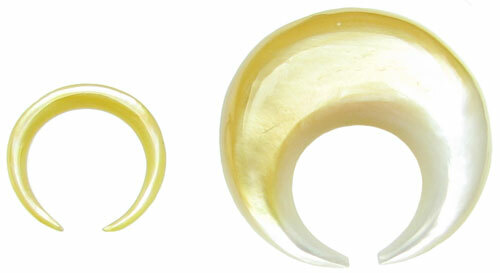 Rather than mass-manufactured, these Septum Pinchers were made by hand from natural materials, so some variation (such as color, texture, size, etc.) is present from piece to piece and from the one shown in this photo. 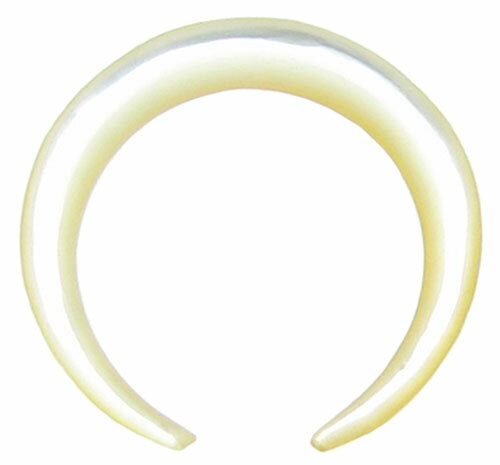 Actual size of Septum Pincher may vary up to approx. 1/2 size from size listed. 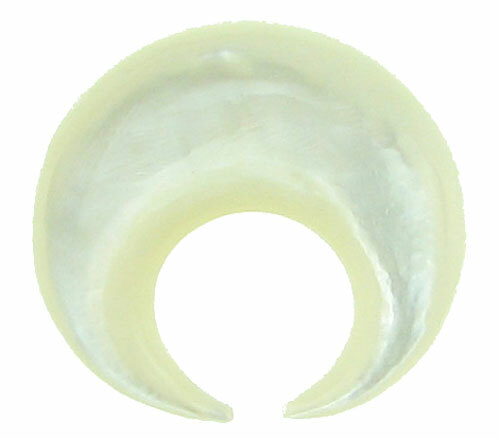 For example, if you select a 15 gauge Septum Pincher, the actual size may be smaller than 15 gauge but bigger than 16 gauge. 15 gauge 14 gauge 13 gauge 12 gauge 11 gauge 10 gauge 9 gauge 8 gauge 4 gauge 3 gauge 1 gauge 0 gauge (+$2.00) Select your gauge size and click "Add to Cart".